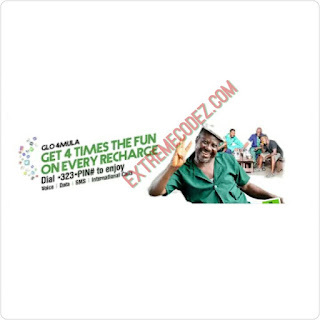 Glo has just introduced a new offer for their customers called 4X offer, with Glo formula you can get four times — 4X — value of every recharge of N100 and above with Glo formula. Ever since Glo slashes their data to 50% volume, they have been putting out some interesting offer, does this mean they want to draw their customers attention. Any way that's by the way. Let get back to todays topic. This offer is available on all prepaid tariff profiles. To enjoy the 4X bonus, you simply have to recharge your Glo lines by dialing *323*PIN# and you will receive the value of the recharged airtime bonus. The 4X value can be used to call all networks in Nigeria plus 30 international destinations. The 4X value can also be used for SMS and browsing. What do you have to say about this offer? Kindly share your thoughts.